Kevin Williams, Founder and Managing Director of Claim Resolutions that provides expert medical billing, coding, and practice management, enabling you to pursue your true calling− exceptional patient care joins Enterprise Radio. Tell us about Claim Resolutions, specifically what you do and the markets you serve? 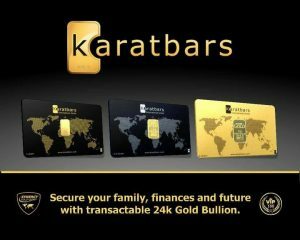 Everybody thinks of Doctors and medical professionals as being wealthy and living the high life, but from a business standpoint, how prevalent are collections problems for Doctors? How will collections issues limit the amount of time a Doctor can focus on his or her practice and treating patients? How do these collections issues affect consumers, specifically patients? People are concerned right now with the upcoming healthcare reform, or “Obamacare” as it’s being called. What should business owners be aware of and how will it affect them? How will healthcare reform affect individuals and how can they educate themselves about these upcoming changes? Will the availability of healthcare to those who may not have had it previously cause supply and demand issues and make it more difficult for people to see their healthcare provider? Tip: Healthcare Reform has easily been one of the most heavily debated topics of the last few years and rightfully so. All Americans are affected by the healthcare delivery landscape we live with and we should take notice of the real effects of the changes unraveling around us. From the boardroom to the water cooler, costs, quality and availability of care are topics that demand attention from small business owners as well as employees and jobseekers. Young and old, Americans are feeling the squeeze. Most are finding it difficult to come up with acceptable solutions given the severity of the forecast ahead, while more than 50-60 million Americans are walking the tightrope of living without coverage. Those fortunate enough to have health insurance are facing the prospect of an exponential rise in premiums with smaller and smaller networks of providers to choose from. With such widespread reach for ripples created by this healthcare debacle, everyone is looking for answers. How can we afford coverage? Can we go without coverage (and pay the fine!)? What can be done to curb costs and get this problem under control? Why are the looming changes so dramatic? As a business executive working directly with healthcare providers, facilities, government agencies, and insurance carriers I can tell you that there is more confusion and misinformation than there is solid evidence of what is to come. There are significant issues every small business owner should be aware of in terms of healthcare and these issues will impact their business moving forward. Claim Resolutions provides expert medical billing, coding, and practice management, enabling you to pursue your true calling− exceptional patient care. We save you and your practice time and money by streamlining the billing process, expediting accounts receivable, reducing denial rates, and providing insightful reporting. We professionally administer medical billing, coding, and practice management functions so that you can focus on patient care. To date, Claim Resolutions has collected tens of millions of dollars for physicians, facilities, and healthcare providers in behavioral health, family practice, cardiology and neurology. We have reduced claim rejection rates from 20+% to less than 1%, reduced reimbursement times from greater than 21 days to less than 7 days, and reduced physician staff phone time by more than 70%. 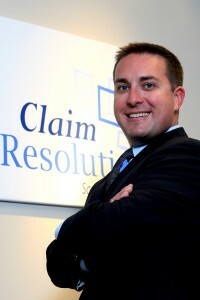 Kevin founded Claim Resolutions in 2009. After years witnessing physicians and healthcare providers struggling to get paid, Kevin formed Claim Resolutions as a means to save time and money for doctors so that they could focus on patient care. Kevin is actively engaged in a concerted nationwide effort to improve the lives of doctors, their staff members, and their patients. Prior to founding Claim Resolutions, Kevin pursued a variety of financial market-related endeavors in New York. Kevin gained experience as a Licensed Stock Broker with Rockwell Asset Management (a division of Nations Financial and Archer Alexander). Not long after shifting gears into primary and secondary mortgage market, Kevin decided to change his focus and pursue his passions. He relocated to Salt Lake City in 2006 to pursue his dream of snowboarding the Wasatch Mountains.